A short tale of a weird experience for an Englishman in search of an Indian in America. I wanted to create an easily re-usable stylesheet that I could just link to whenever I wanted to include those 1, 1.1, 1.2, 1.2.1 style headings. Turns out it's really simple. What Happens If You Drive With Your Caravan Brake On (in France)? A tale of caravanning woe though my own stupidity and the help of many people who got us back on the road. 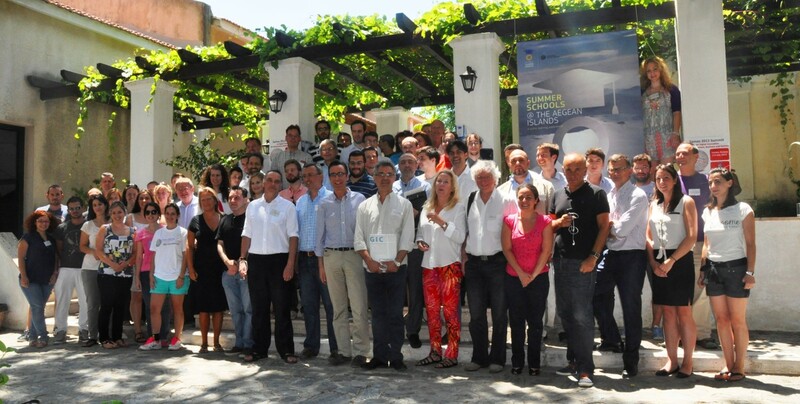 Last year I was delighted to be asked to speak at the Samos Summit, an annual event organised by the University of the Aegean that brings together many eGov and open data related projects. This year, through my role as an advisor to the ENGAGE project, the organisers have kindly asked me back. I'll do my best to provide an overview of the topic as an update to last year's Summer Summary. To Pisa for a couple of days, or rather, a hotel on the beach near Pisa, for the kick off meeting of a new EU funded project, PRELIDA, who have kindly asked me to serve on their advusory board. I don't know the partners in this project so I'm looking forward to making new connections, but I know the subject area - how to create and maintain persistent URIs. The project is broader than that but the basic questions remain - how can you create and maintain electronic data that will persist across decades. During the meeting in Pisa I'll talk about the Study on Persistent URIs I and others did for the European Commission earlier this year and, I imagine, there will be much discussion of what happens if Dan Brickley goes under a bus. My 'slides' for this event are really just a collection of links. A ridiculous schedule this week! I'm in Dublin on Monday 17th for the first part of the Crossover project's International Conference on Policy Making 2.0. This has been a very interesting project in which I've played a very minor role but have learned a great deal. The use of open data for evidence-based policy making is definitiely something to be encouraged. On Tuesday I take a bit of a left turn as I head for Manchester for Making Data Work: Cities & Transport. On this occasion my attendance is being funded not by W3C but by Reeep, the Renewable Energy and Energy Efficiency Partnership, a very interesting organisation based in Austria that is doing seriously good work with linked open data for energy efficiency and climate change mitigation. Machester again on Wednesday afternoon for an open meeting of the UK Gov Linked Data WG and then it's back to Dublin for the day again on Friday 21st for the SEMIC conference [slides]. At last year's Using Open Data workshop (PMOD), Noel van Herreweghe was buzzing with the excitment from the successful first Flanders Open Data Day he'd organised the previous week. He kindly invited me to give a keynote speech at the next year's event … which is now upon us. The Web privacy and freedom communities are screaming about the revelation that the US intelligence services routinely record details of phone calls, e-mails and other electronic communications. They are, however, silent on the use of the Web to distribute and thereby encourage the production of child abuse material. I think those priorities are back to front. Earlier this week I gave a talk at Sem Tech Biz in San Francisco that reported on the Open Data on the Web workshop I ran back in April and how that fits in to the likely future work around the topic of (open) data at W3C. Slides on their own only tell you so much so I've created a slidecast version. As is so often the case, I'm working on an EU project proposal at the moment and I want to be able to show the countries covered by the project. To do that I needed a map that I could just click the relevant countries and they'd be filled in, then I could copy and paste that into the proposal. My guess is such tools already exist on the Web but I wanted to make my own. It needs writing up but it's all working now so I may as well publish it and add the commentary later. Hmm … rights expression languages, how to attach metadata to lots of online resources at once, machine readable metadata … those themes have a familiar ring to them. The IPTC - the membership organisation for news agencies that does a lot of technical standards work including rNews - has invited me* to speak at their event in Amsterdam, something I'm looking forward to. For good reason, licences on the Web are almost synonymous with Creative Commons but how can licences be included in a modern, high capacity workflow? I need to talk to various colleagues and get a full picture of the space but I can't help but think that POWDER just might have a role to play here. * Actually the invitation first went to Ivan Herman but he passed it to me. My role at W3C means I spend a lot of time thinking and talking about open data (and I wish I had more time to actually do something practical about it/with it to). The role played by geospatial data is critical in this. Obviously there are the base maps, but so many data sets refer to specific locations, regions, postcodes etc. Applications that use open data very often depend on geospatial data. Things like the UK Crime Map are the post-children of the open data movement. So I'm pleased to have been invited to contribute to the imaGIne conference - an event that provides the first of several trips to Dublin this half year as Ireland is the current holder of the EU Presidency. I'll be reviewing how GI data is currently used on the Web and what we need to do to make it easier. Today is my oldest friend's birthday. I've just finished a very throught provoking book: C J Sansom's Dominion. By coincidence, this week saw the UK Independence Party gain its highest poll rating in a Westmister byelection. Scarily the two go together. 2013-02-19 — a date of staggering unimportance except that it happens to be the day on which I have a zero at the end of my age. I've used the same picture as my online image/avatar since it was taken, I think in 2003. Hmm … maybe it's time to update it. This new one was taken on Saturday 27th October 2012 at a reunion for staff of Radio Orwell. Photo credit is due to Wendy Bailey. I suppose I ought to update relevant pages now in different corners of the Web. Gah! But hey … I kept the same URI and the images are identical in size so where the old was was referred to rather than copied, it's just been updated automatically. And be honest — you don't look the same as you did 10 years ago either. It's hardly surprising that someone who makes a living as a techie enjoys reading science fiction novels — but I've got a thing about not just the novels but their first editions … and having complete sets of them. Just what would happen if Dan Brickley fell under a bus? It's a question that comes up a lot. The EC quietly made the beta version of its data portal public on the night before Christmas. I took a quick look.